Beginning in the late 1990's, a small group of Weston Solutions employees from West Chester, PA ran a small golf tournament each year. When our wonderful coworker and friend, Karen Schneider, was diagnosed with breast cancer in 2002, we decided to turn our little tournament into something bigger—something to truly help Karen and others fight breast cancer. 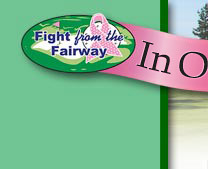 The result is Fight From the Fairway (FFTF). FFTF quickly became a passion of ours, and especially of Karen’s. She was the lifeblood of the tournament, working tirelessly to make it a great event. Her signature was on everything related to FFTF, especially the rapport she built with the recipients of the proceeds to make sure our efforts were having a real impact. Each year, a growing number of non-golfers wanted to make a difference too by participating in FFTF, so we added a raffle and other events. In FFTF’s 11-year history, we've raised more than $330,000. 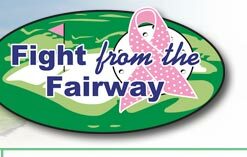 FFTF donates the proceeds from the tournament and related activities to two charities that Karen herself chose, Lankenau Institute for Medical Research (LIMR) and Breastcancer.org. The proceeds donated to LIMR funded key breast cancer research that was recently profiled in American Journal of Pathology. And Breastcancer.org continues to provide valuable information to women undergoing breast cancer treatment and those simply interested in the latest news concerning breast cancer detection and prevention. Unfortunately, Karen lost her battle with breast cancer in 2008. As the FFTF community mourned, we also needed to decide whether we would continue FFTF. Our decision was an overwhelming "YES!" and FFTF continues to grow, adding a satellite tournament (the San Antonio FFTF event has raised over $40,000 since 2009) and involving people from all around the world. Participating in FFTF is a way to truly make a difference, either in Karen's memory, or for the Karen in your life.